This is what they're capable of. Name calling, or not. I see a picture of heroes who fought with valure and die for their country. I salute them. They made you pray for peace for the rest of your life. This for Misraq and other hallucinators, back to memory lane. No bragging, just simply the facts as told by the Weyane POWs. You insult MY Heroes, and expected what? A bouquet of flowers & a box of chocolates? Btw, I thought Meles begged 40 times to meet PIA and make peace. Besides, what's wrong with praying for peace? I can pray for your peace of mind, if you want. the kittens low IQ mind set never stops to amaze me. So Meles begged 40 times yes? Yes he did. So what? Is Meles my leader? I didn't know u were agame from cursed-land-tigray, z whole world know how brave we Eritreans r. Just a reminder of who is z [deleted] , watch ur agame ppl, cry and ask 4 peace with us Eritreans!!! Cursed-land-tigray ppl u r desperate. Remember ur tplf we put them in power.
. 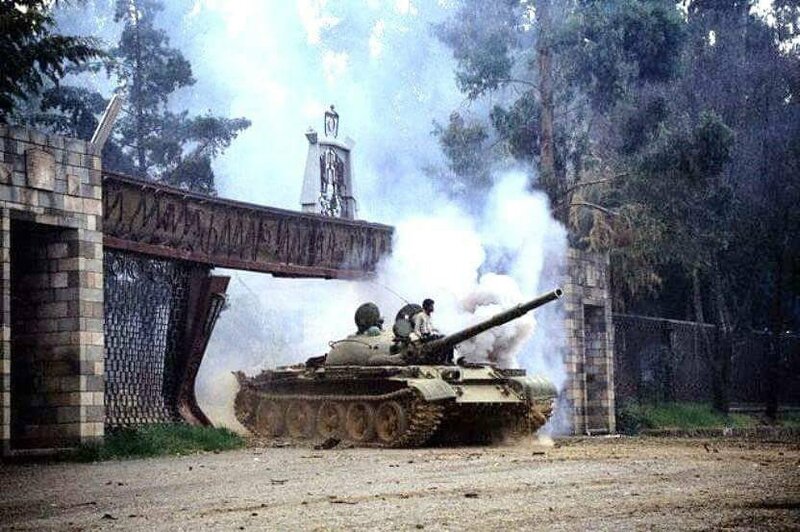 THESE R EPLF AKA ERITREAN TANKS ENTERING UR AGAME ARSEEEE!!!! Dumbazz, he led your country of 100M+. If we were the ones praying for peace, how come he begged 40 times? I was pointing, at the stupidity & inconstitency of your statement. You better keep quiet, perv! I honestly & really thought you were smarter than this, despite of your sexually deviant mind. 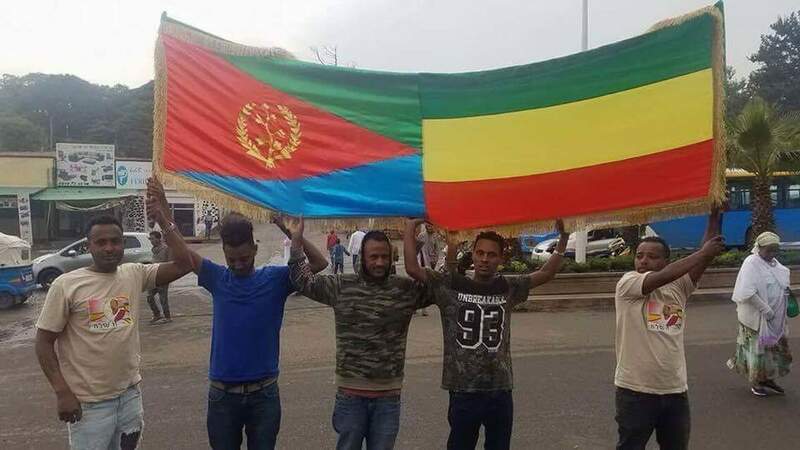 If you really think about this whole discussion made in this thread calmly and consciously, nobody is winning but the evil agames.....It is just a lose-lose situation....Hence, I advise you guys to use your energy and time for something else other than this..
May God bless the people of Eritrea and Ethiopia! Misraq you fa*gg*ot, we hate the dirty, backstabbing agames and we will destroy them once for all doesn't mean that we love the rest of the ethiopians so much that we will let you dare us again as you did before. Why the f**k are you taking us for fools. We want peace doesn't mean we will bargain with our sovereignty. Here below is a video of thousands of dergue's troops of all ethiopia's different ethnic group (the ones you said who never fought us before) who got a'ss spanked, captured and due to the good EPLF hearts were given a second chance to go back to ethiopia alive. So rather than provoking us may you need to ask your dad or your brothers who might be in this video that poking with Eritrean bee hive is deadly. Now, who leads Eritrea is none of your freaking business, but changing your tone to zeraf, zeraf is too dumb. Peace for both people is what we are looking. And please don't translate that to weakness. Ask mengistu or like Zimeselo said the dead midget meles who was begging for peace talk or the crying ethio general Tsadkan. Some of you are just sick or pretenders. Last edited by Cigar on 11 Jan 2019, 00:43, edited 2 times in total. Here below is a video of thousands of dergue's troops of all ethiopia's different ethnic group who got a'ss spanked, captured and due to the good EPLF hearts were given a second chance to go back to ethiopia alive. ወይ ዕብዳን! 'ዛ ለኽባጥ Misrak Segibako! As your master Cigar told you just watch the freaking video he posted and STFU [deleted]! Yep, and millions of Ethiopian diasporas went there for vacation. I bet you've NEVER held an AK, in your entire miserable life. First of all PMS is natural and most of the b!tches can handle it well but some of them such as you well bleed through their mouth. What is itching you? The last time We checked you akakizeraf forced us to sent the lowest agame (the likes of yourself) to rule mama Ethiopia for quarter of a century till you beggars got full bellies and started to መሳፈጥ with shabbos. Next time we will make sure to kiss goodbye the mama Ethiopia we all know forever. You better live in peace. Temt thank you for making my video easily accessible. I have no clue how you smart people convert it. But what is with this fa*g*g*t misraq? May be he is a filthy agame. If you analyze his crap it sounds to me like he is trying to put doubt on our head so that we befriend his nasty tegarus through his elementary scare tactic, as if we need any help to fend off any enemy. (whether we have peace with ethiopia or not, we will never live in peace unless we destroy woyane for good). So if that is your elementary game, then we just have to be enemies of both woyane and the ethiopians, if you are ethiopian and you have such mind set. I mean, now that there is a prospect of peace in the region to focus to alivate the two people's lives, why would one say zeraf, zeraf? 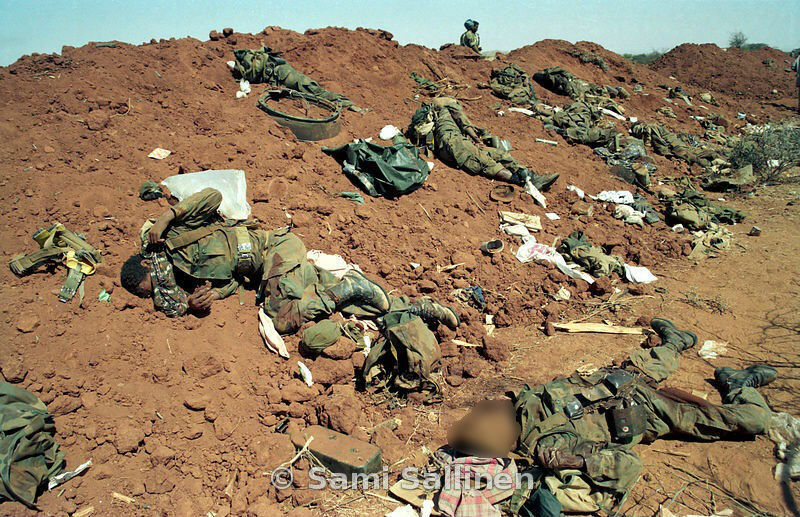 Eritrea is in peace with itself and it has no reason to go to war with ethiopia. So, what is his reasoning that ethiopia will, even if Eritrea was as weak as Somalia or Djiboutti? Misraq you stupid abaq, qorbae agame stop praying for unnecessarily war. Again there is nothing we need to prove to any bidy that we are more than capable of destroying our enemies. We freed our country while fighting against all ethiopoans. And look where we put your woyane. Yes we are tired of war and destructions and we are longing to live in peace with all our neighbors. But our wish for peace needs to be met with peace gesture and not bullsh*it of the cowards [deleted] like you SOB. Last edited by Cigar on 11 Jan 2019, 00:11, edited 2 times in total. Ethiopian heroes will be in our soul for ever!!! stop posting pictures about our Martyrs - NOT a cool thing to do !!! ethiopian, focus on the topic. Rather than commanding us to not respond in kind, why don't you mother f**ker (if you are not agame) advise your agame brother to behave for peace sake? Did you read the title of his thread? Why is it his or your business to tell us what is best for us? 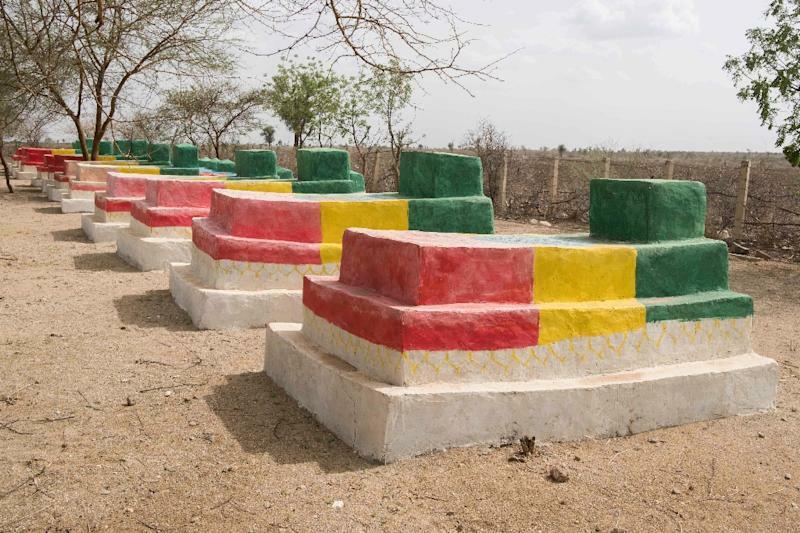 'Sawa f*ggets' is also a picture of our martyrs by itself.